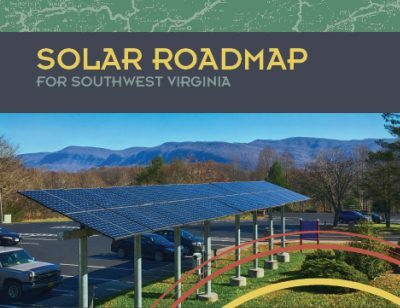 The Solar Roadmap lays out the steps needed to establish a robust solar energy sector in Southwest Virginia. 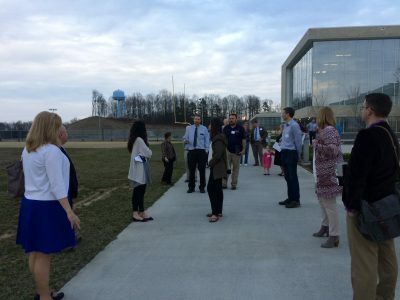 Wise County, Va. — A group of local leaders from far Southwest Virginia has crafted a nuts-and-bolts “how-to” plan for spurring growth of the solar industry in the coalfield region over the next decade. 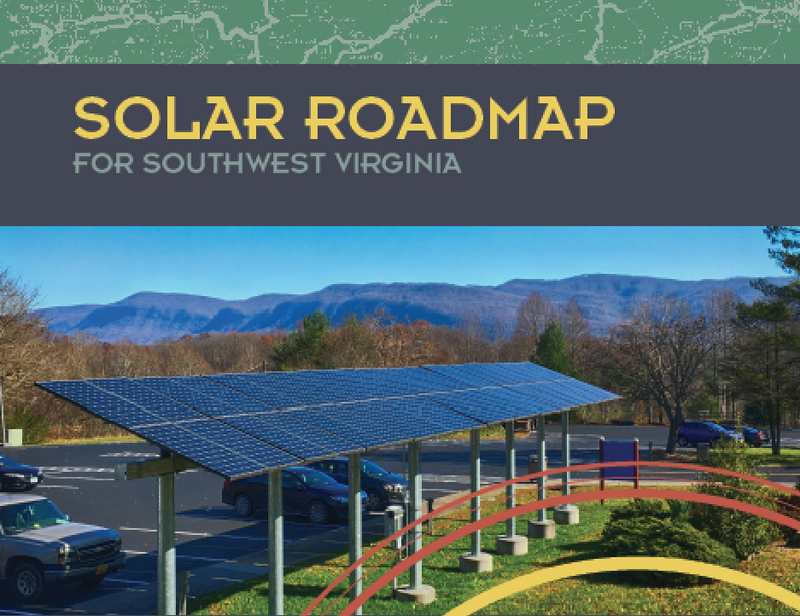 The Solar Workgroup of Southwest Virginia today released its Solar Roadmap for Far Southwest Virginia detailing a multi-faceted strategy for establishing the region as a vibrant economic hub of solar energy. The report maps out the public and private sector infrastructure needed to prepare the region for growth of a solar industry, including workforce development, entrepreneurism, community education, and tax and policy reform. >> The report and downloadable photos and graphics are available here. A primary feature of the report is identification of 15 “ambassador sites” — schools, businesses, medical facilities, and low-income housing complexes — that are ideal for solar installations in the near-term and would serve as models for further deployment of solar projects. The workgroup established strong relationships with the property owners who all came to understand that solar energy made good business sense for their sites, says Adam Wells, New Economy Program Manager in Appalachian Voices’ Norton, Va. office. The Solar Workgroup takes a tour of Ridgeview High School, one of the “ambassador sites” for a near-term rooftop solar project. Among the sites are the four Southwest Virginia locations of the grocery chain, Food City, the Mutual Drugstore in downtown Big Stone Gap, and Ridgeview High School in Clintwood, which would yield Dickenson County a net savings of approximately $1.7 million over 25 years. Wells says that the public facilities in particular are important because of how much money solar energy can save local governments that have long relied on revenue from the coal industry that is now in protracted economic decline. 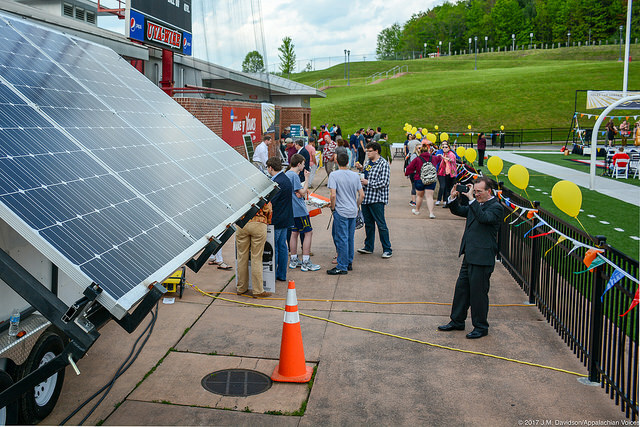 Promote policy changes that help grow the solar industry in Southwest Virginia. The group’s roadmap is partly drawn from a 2017 economic analysis by research firm Downstream Strategies which models a bold, yet achievable goal of establishing almost 260 megawatts of installed solar on 1,830 residences, 79 business and five utility-scale installations by 2027. The solar energy could yield total earnings of about $17.3 million, with roughly $68,000 per year per new worker. Of that, $2.9 million would be from residential and commercial solar deployment, and the remaining $14.4 million would be utility-scale installations. A “Solar Fair” hosted by the Solar Workgroup in the fall of 2017 drew scores of people interested in the technology. Solar employment is expanding 17 times faster than the overall U.S. economy and will reach 300,000 workers by the end of this year, according to the report. This boom in solar is finally reaching Virginia, with 190 megawatts installed across the commonwealth in 2016, up from just 10 megawatts the year before. An additional 198 megawatts is expected to be installed in Virginia by the end of this year. However, very little of this economic activity has reached far Southwest Virginia, a region that faces many challenges as a result of the long-term decline of the coal industry. To help overcome this barrier, tax credits are key, and a primary area of policy reform recommended by the Solar Workgroup. Utilize solar as an energy source for pumped storage facilities in Southwest Virginia.